No one has yet written An Ode to a Plastic Bucket, but perhaps someone should. From making sand castles to mopping kitchen floors and washing cars, a plastic bucket is indispensable. Heavy duty buckets are used in the home, in industry, at construction sites, on the farm, and everywhere else that tough, reliable, and inexpensive carrying capacity is needed. As sturdy as plastic is, though, buckets sometimes develop a small hole or crack. When that happens, there are some effective first aid measures for repairing a wounded bucket. 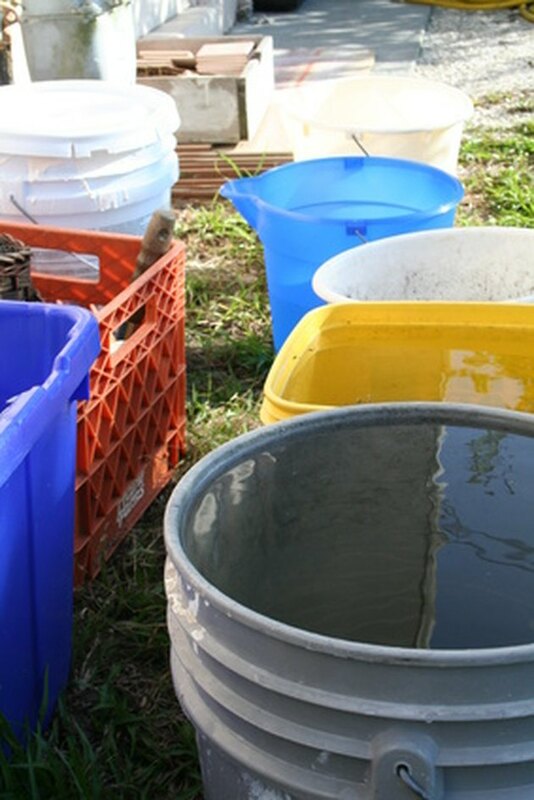 Plastic buckets galore, and all can be repaired, if needed. Clean and dry your bucket. Whatever repair method you choose, start the repair process by cleaning and drying your bucket. Repairs will be stronger and last longer when you start with this simple step. Try tape. Regular duct tape can work wonders in restoring a holey bucket. Apply tape to both sides of the hole or crack. Heating the tape with a hair dryer will create an even stronger bond. A tape fix works best for buckets that are not routinely used for holding liquids, but it can be surprisingly effective even for liquid storage. Go with glue. Most available adhesives will form a strong bond with plastic and are especially useful for repairing small holes and cracks. Avoid paper adhesives meant for kids in school. Stick with a good epoxy, putty, or acrylic glue, or use a specialty product specifically made for plastic repair. Heal it with heat. Most plastics will melt and reharden when you apply heat. Use a soldering iron or a heated butter knife to carefully melt plastic around the hole. Use the soldering iron or knife or another tool, like a putty knife, to work the melted plastic into place to seal the hole. Smooth out the material as best you can. The results may not be pretty, but they should be strong. Create a combo. There's no reason to rely on only a single technique to repair your bucket. A combination patch of tape and glue might be a more effective patching technique than either one alone. The circumstances of each repair job will differ, so you'll need to exercise your best judgment as to which technique or combination of techniques will best suit your needs.